Science researchers at Harvard University have discovered a gene found in the most devastating forms of cancer that controls embryonic stem cell self-renewal. The gene, SALL4, enables stem cells to keep dividing rather than grow into mature cells. The gene is re-expressed in almost all cases of acute myeloid leukemia and between 10 to 30 percent of lung, ovarian, gastric, liver, breast and endometrial cancer. Researchers say they can make a strong case that the gene plays a part in tumor formation. The breakthrough marks the beginning of a search for a drug that can block the gene’s activity. 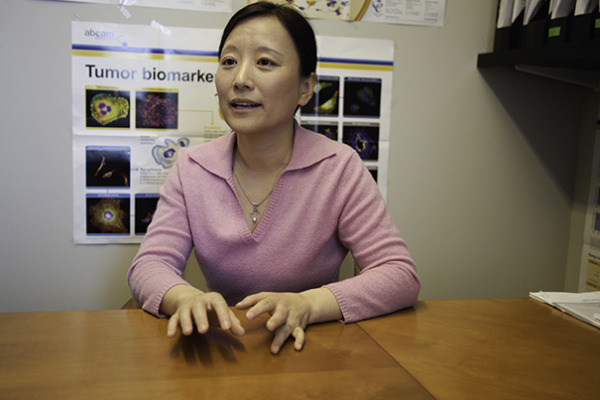 One of the study’s co-authors, Harvard Medical School assistant professor of pathology Li Chai, published a paper earlier in the year that says an SALL4 inhibitor has a great deal of potential for treatment in leukemia cells. According to a Harvard University news article, Chai worked with patient blood cells and treated the samples’ leukemic cells with the inhibitor that blocks SALL4 protein activity, then transferred the blood to mice. The cancer gradually regressed in the mice after the blood transplant. Harvard University conducts a great number of studies like this one that have the potential to save countless lives every year. Lab suppliers interested in increasing lab sales leads and marketing life science solutions will find that Harvard University is also a very well-funded market, especially taking into consideration the most recent NIH and NSF research funding statistics. In 2012, the NIH gave Harvard University $392 million in research funding. This money was spread out among a number of different departments at the university, including anatomy and cell biology, biochemistry, biology, biomedical engineering, biostatistics, internal medicine, microbiology and veterinary sciences. The life science department best funded by the NIH was microbiology, which received 105 awards and $65.7 million in research funding. For a full list of departments receiving NIH funding organized by department name, number of awards received and total funding awarded, please visit the NIH website. In addition to receiving the a great deal of research funding from the NIH, Harvard University also received $55.3 million from the NSF in 2012. The research funding was distributed to a number of projects within the life sciences. Of the total figure, $6.9 million in research funding went to life science projects alone. Some of the life science fields receiving funding included evolutionary processes, developmental systems, bio informatics, molecular biophysics, genetic mechanisms, ecosystem science, systematics and biodiversity science, population and community ecology, and cellular dynamics and function. Biotechnology Calendar, Inc. invites all biotechnology vendors and lab suppliers interested in marketing life science solutions and increasing lab sales leads at Boston life science marketing events to network with others in their field at our next Boston BioResearch Product Faire™ Event. Biotechnology Calendar, Inc. is a full-service science research marketing and event-planning company that organizes life science marketing events at top research universities nationwide. For more information on our Boston BioResearch Product Faire™ Event, or to view more funding statistics for Harvard University, click on the button below. If you’d like to market your life science solutions and increase lab sales leads at life science marketing events closer to home, we encourage you to view our 2013 calendar of events.